Oriental Trading provided most of the items for these hot chocolate spoons. 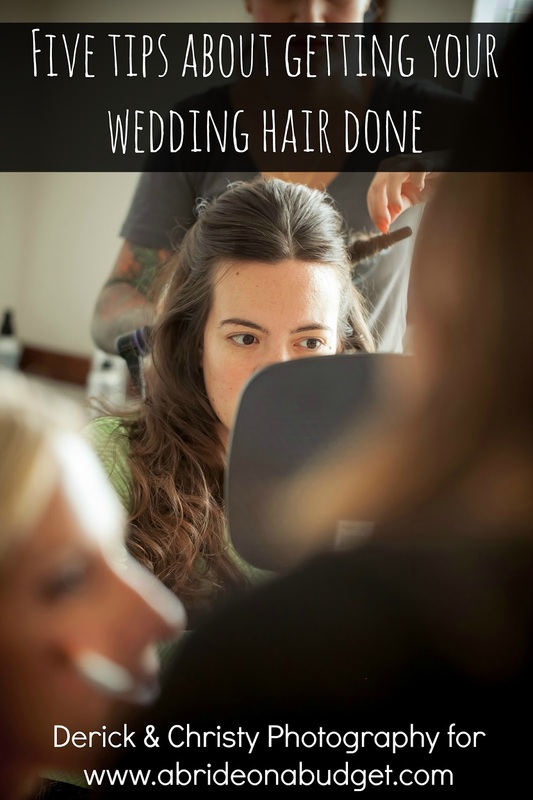 Additional items, and all thoughts and opinions, belong to A Bride On A Budget. I'm obsessed with chocolate. 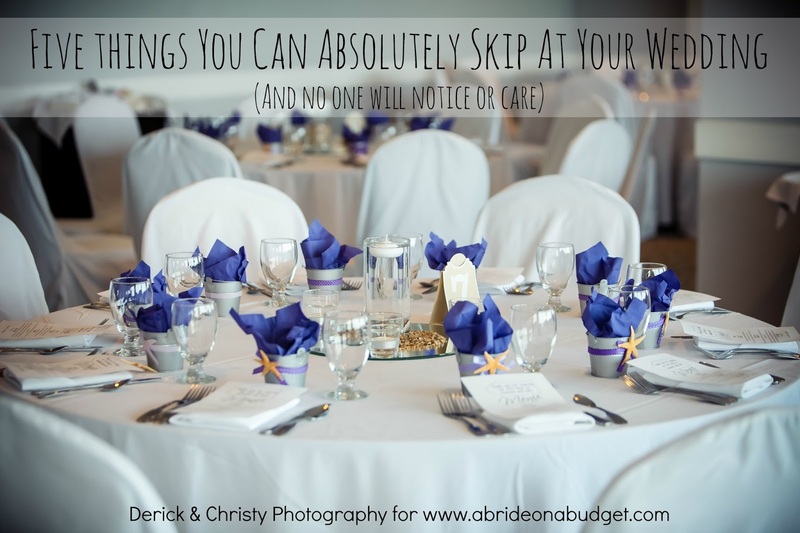 It's part of why we had a full candy buffet at our wedding and part of why I eat lunch every day (then I can eat chocolate after because, despite my wishes, chocolate is not a meal). 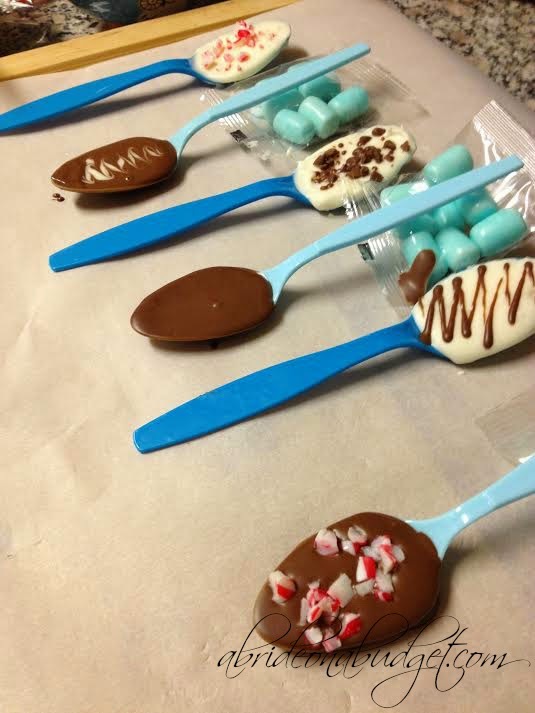 If you like chocolate too, you'll love our hot chocolate spoons favor idea. These were actually pretty easy to make, but they did make a huge mess. I had bowls and bags and cutting boards everywhere. And I was only making seven chocolate spoons. I can't imagine how my kitchen would look if I was making a hundred or so. But that's why you turn this into a group activity. Invite your mom and your bridesmaids over. They'll help you make them and help you clean up. Personally, I put them in a plastic bag and beat with a rolling pin until it's crushed. It's the same method I use for breaking down graham crackers too (which you may remember from our chocolate seashell favor post). Melt one of the chocolates according to the package. You only want to melt one at a time (either the milk chocolate or the white). Dip the spoon in the chocolate until it is completely coated. 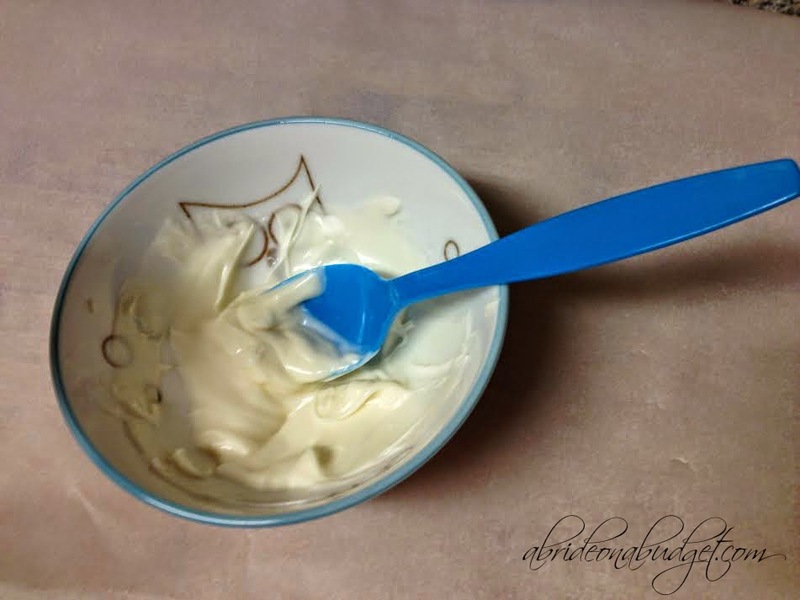 It will stay warm for a while, so you can twist and turn the spoon to make sure it is evenly coated. Lay it on a sheet of parchment paper. 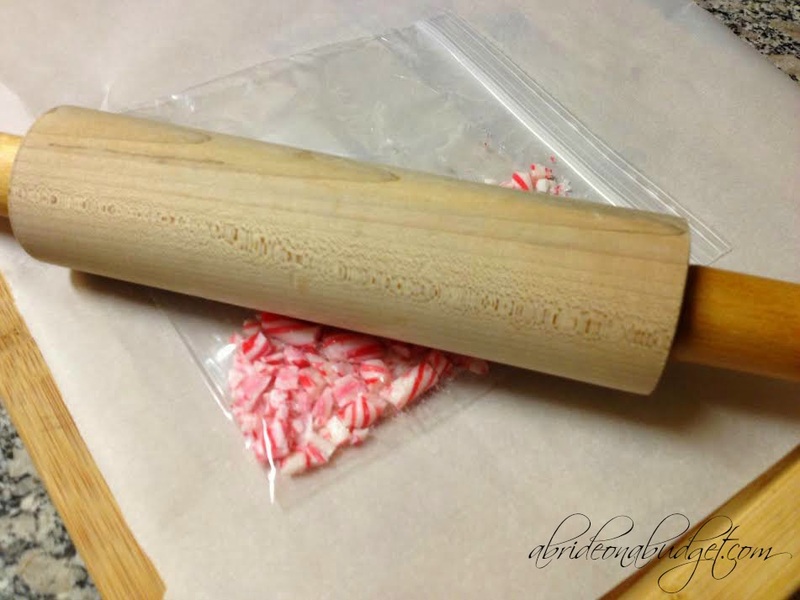 Embellish with candy cane pieces while it's still warm. Or milk chocolate nibs. Or a chocolate drizzle. Or just leave it plain. Whatever you want. Then, melt the second chocolate. Now, the light blue spoons I received don't lay as nicely as the turquoise spoons. The light blue spoons laid forward, which meant all the chocolate tried to slide off the spoon. To combat this, I actually rested them on bags of mini marshmallows because they were handy. If you're feeling adventurous (and you have a little of each chocolate left over), you can mix them. Have one chocolate as the base flavor. 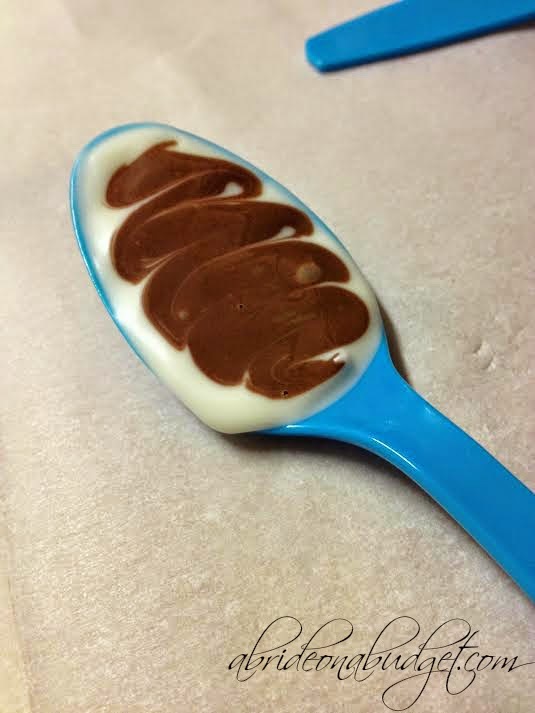 Carefully flood the middle of the spoon with the second chocolate, then use a toothpick to swirl the two together. 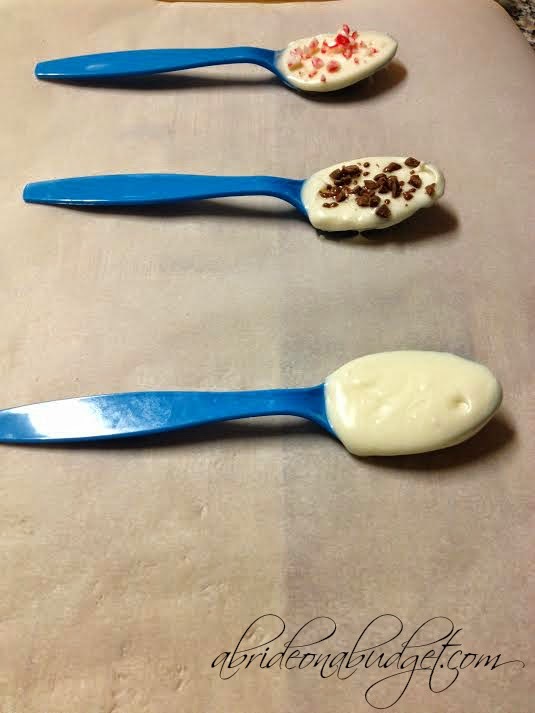 These are hot chocolate spoons, which means they're intended to be used to make hot chocolate. So of course, I had to try. I used the solid chocolate spoon. 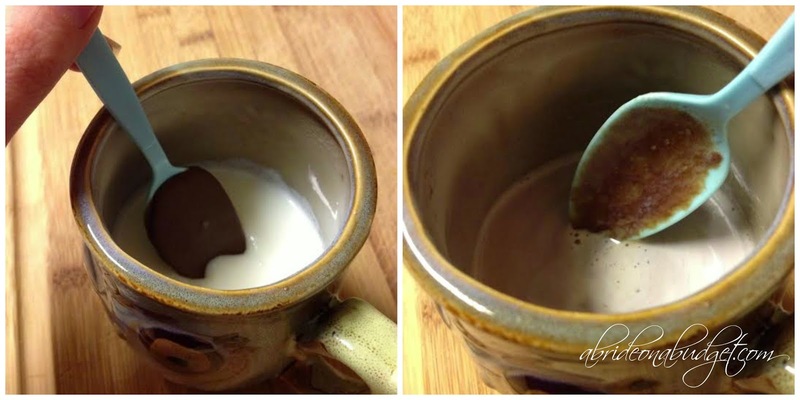 I heated up some milk (in the owl mug you may recognize from our wedding registry; I told you I'm obsessed with it), started stirring the milk with the spoon, and the chocolate melted enough to fall off the spoon. I stirred it in and had a great tasting mug of hot chocolate. 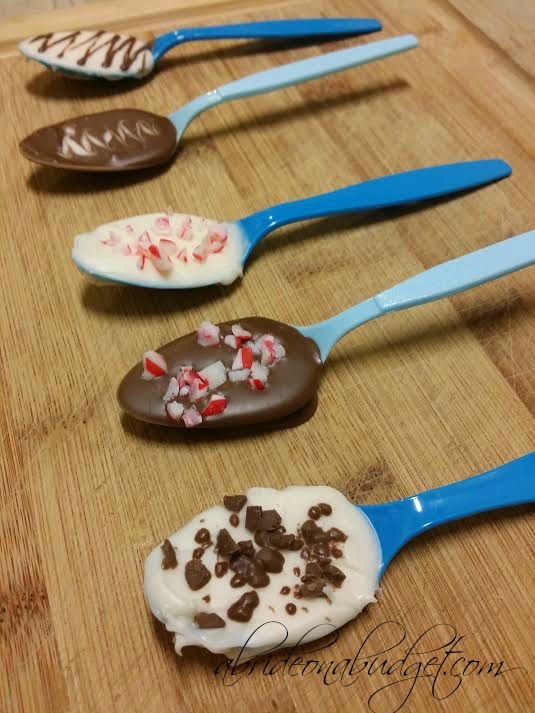 The hot chocolate spoons with the candy canes will make a mint hot chocolate, which is great and always popular. 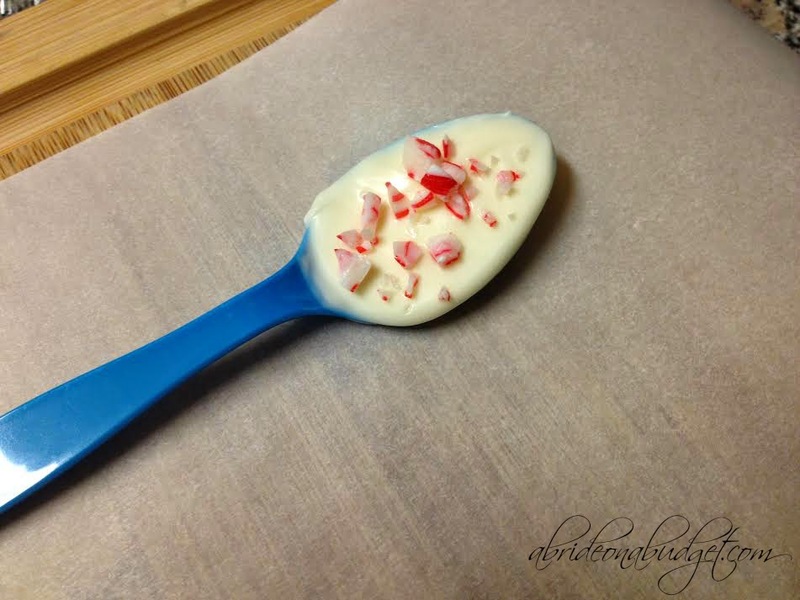 If you had a high quality sea salt, you could make salted hot chocolate spoons (which would probably be my favorite, now that I think about it). If your guests don't drink hot chocolate (the horror! ), they can add these hot chocolate spoons to coffee and make a mocha. That sounds delicious too. When these have dried completely, you can package them in favor bags tied with white curling ribbon. 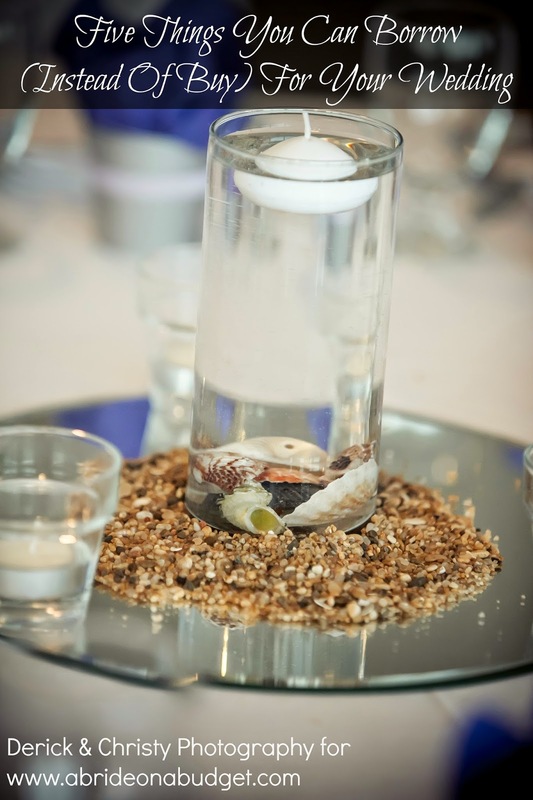 Your guests will absolutely love them! 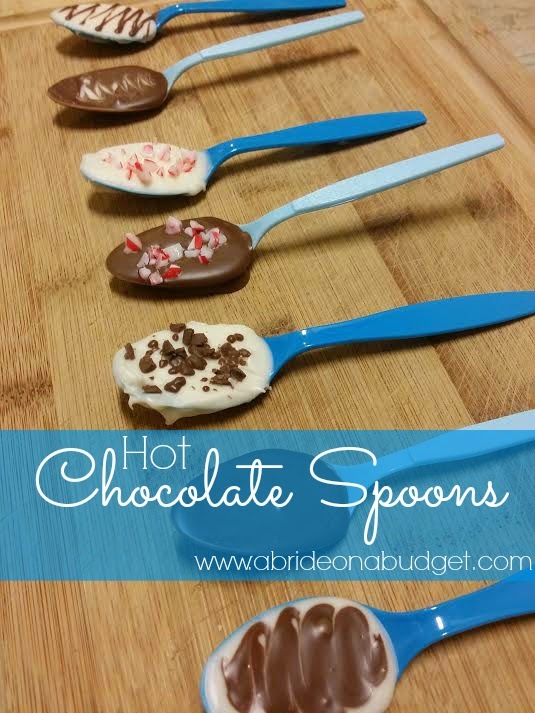 BRIDAL BABBLE: Which of these hot chocolate spoons do you think you would like best? I would like a dark chocolate one the best. I want to make these for an upcoming party that I am having. 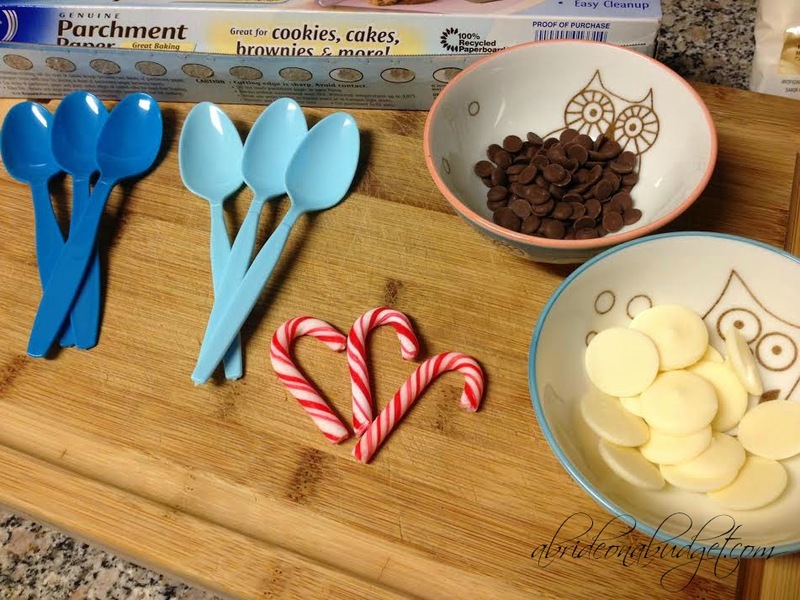 These spoons with chocolate are so pretty and sure to be a hit with my guests. Thanks for sharing! I'm not getting married but i'm definitely going to try these. Great idea! I think they will be gone in minutes after making them. These are beautiful and would make a great treat for lots of occasions! Thanks for sharing! I love this gift idea! I'm going to try making them!